The Colony is an exotic grenade launcher that didn't work properly at framerates over 30. The Destiny 2 1.1.3 update is now live, bringing with it Nightfall Strike scoring and Challenge Cards, emblem variants, changes to auras, a text chat option in public areas for PC players, and—this is the big one for fans of insect munitions—a fix to The Colony exotic grenade launcher that means it will now properly track enemies when the framerate is set higher than 30. The Colony, you see, fires "insectoid robot grenades" that track enemies and explode when they come in proximity. But at higher framerates, they don't track properly, which renders the weapon effectively useless for anyone with a decent gaming rig. Dialing back the framerate clears up the issue, but who wants to do that? Normal and Prestige Nightfalls now have scoring, with points earned through kills and orb generation, and high scores displayed on each Nightfall strike's emblem. The Prestige Nightfall Challenge Card now gives players the option to select modifiers that impact gameplay and score, including Elemental modifiers, power level handicaps, and the "Extinguish" modifer that returns the full team to orbit following a wipe. Challenge cards will drop for Curse of Osiris owners in both the normal and Prestige Nightfall modes. Crucible, Destination, and Nightfall emblem variants that track kills in various categories can be purchased from vendors after opening ten faction packages, and in the case of Destination emblems also have a chance of dropping from chests. Emblems from the Leviathan raid, Trials of the Nine, and Nightfall strikes will also unlock auras when certain conditions are met. The full list of changes in the Destiny 2 1.1.3 update is available at bungie.net. 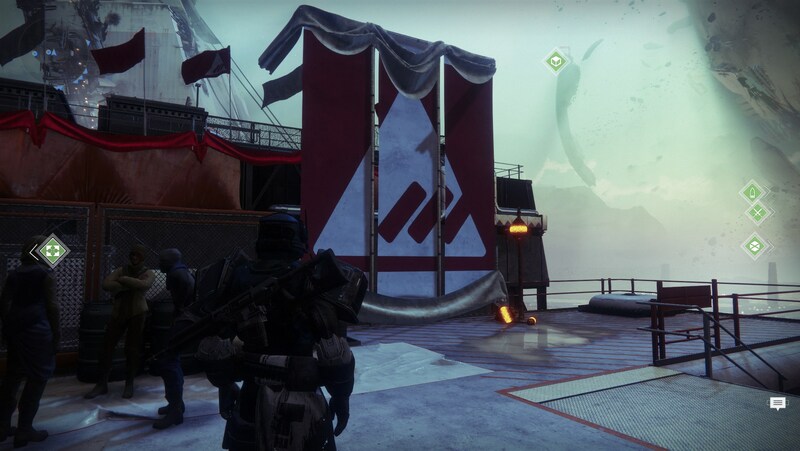 Oh, and the most recent Faction Rally is now over, too. You'll never guess who won.